Most of the current knowledge on Mediterranean gorgonians is restricted to investigations of those populations found within shallow sublittoral waters, and only limited data are available for populations located below scuba depth. 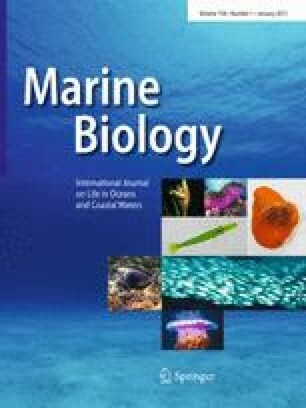 To overcome this lack of information, the occurrence and abundance of the gorgonians Eunicella singularis, Paramuricea clavata, and Leptogorgia sarmentosa were investigated in northwestern Mediterranean benthic communities over a wide geographical (60 km of coastline) and bathymetrical (0–70 m deep) extent using a remotely operated vehicle (ROV). The greatest occurrence and abundances of E. singularis and P. clavata were concentrated in areas that are directly exposed to strong near-bottom currents. E. singularis was the most common and abundant species and displayed great plasticity and amplitude in its environmental preferences. Conversely, P. clavata showed a very patchy distribution that was associated with vertical rocky walls. Only isolated colonies of L. sarmentosa were observed in the study area. Hot spots of abundance of E. singularis and P. clavata were identified below a depth of 40 m, which demonstrates the importance of studying the distribution of benthic species over a wide geographical and bathymetrical extent. Communicated by R. H. Richmond. The online version of this article (doi: 10.1007/s00227-010-1548-8) contains supplementary material, which is available to authorized users. The authors would like to thank R Hernandez for his suggestions during the video laboratory assembly, PR Peres-Neto and D Borcard for their valuable updates on the variance partitioning method, JL Riera for his precious help with the software R. We are grateful to C Orejas for her useful comments which helped improving the manuscript, to S Requena for her help with the software QUANTUMGIS, and to A Purser, E Nebreda and C Dominguez for the revision of the English. Andrea Gori has been financed by a I3P contract of the Consejo Superior de Investigaciones Cientificas (Ref. I3P-BPD2005), and Sergio Rossi by a Ramón y Cajal contract (RyC-2007-01327). This work is part of the 2003–2004 INTERREG project between Catalonia-Languedoc Rouissillon “Pirineus Mediterrànis: La muntanya que uneix” of the CSIC and CNRS.